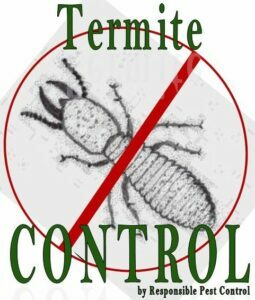 Responsible Pest Control Sun City professionals are dedicated to providing Guaranteed pest control with Responsible Applications that are FRIENDLY to family & pets! At Responsible Pest Control our CUSTOMERS come FIRST, & all our services are 100% GUARANTEED. We’ll answer your questions, give courtesy CALLS before service, wear BOOTIES inside, SWEEP Spider WEBS, & do FREE Termite Inspections! Join 1,00′s of Happy Customers living PEST FREE in Sun City AZ! Effective Pest Control in Sun City starts with a careful inspection to identify Pest Control needs & harboring areas. We’ll assess your situation, and provide a customized treatment solution that best fits Your needs & budget! Initial service is a ”Clean Out” to eliminate pests already in your home & yard. After a “Clean Out” service is done, we schedule you on a regular pest control program. Our GUARANTEED services focus on eliminating Pest problems from the outside, Eliminating Pest problems BEFORE they get inside! 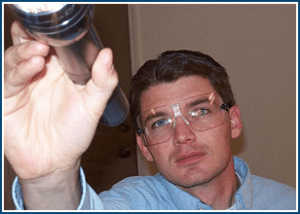 We offer different maintenance programs to fit your needs & budget. If you have a bug invasion for any reason between regular services, just give us a jingle and consider it done!!! We’ll get you on the schedule for a re-treat right away, at no extra cost to you! MOST Termites in Sun City AZ are the Subterranean species that live in HUGE colonies deep underground. Subterranean Termites come up to feed on wood products your home is built with! Subterranean Termites travel hundreds of feet to find a home to feed on. (So if your neighbors have Termites… Watch out!) Sometimes homeowners see “mud tubes” going up a foundation, on a wall or ceiling, or “swarming” around their home. Get the FACTS! Most buildings in Sun City stared with a pretreatment for Subterranean Termites. These pretreatment products and treatments generally last, and are guaranteed by the company that applied them, for five years. We recommend having your home inspected yearly, and treated for Subterranean Termites every 3-5 years thereafter.